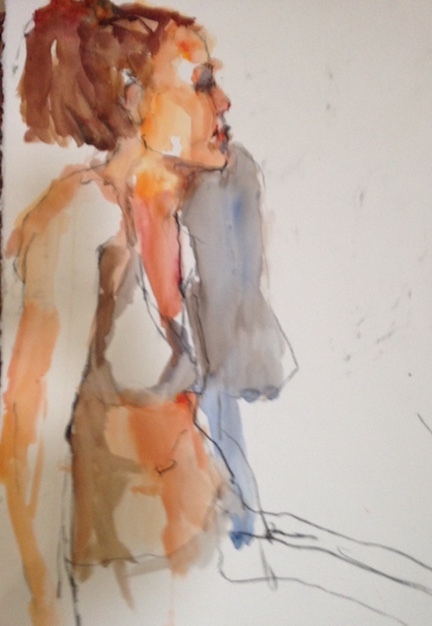 Join Liz in drawing and painting directly from the model. 3 days, 3 models each morning, work out problems in the afternoon. Your paintings will be very fresh and you will find yourself doing exciting sketches, as well as finished pieces. Questions, contact Liz at Lizhill4u@aol.com , or call 713-252-7726. Bring all watermedia supplies. PAINT- any Watermedia you generally use. I prefer watercolor along with opaque paint, but acrylics painters bring either. DRAWING- pens, pencils, inks, colored pencils, watercolor crayons. Bring any or all of these. I use a lot of the colored pencils and crayons. Regular supplies such as paper towels.